Signing to Portuguese techno label Reaktivate, industrial/dark ambient act Worms of the Earth has unveiled his latest EP, The Nightside of Creation. Featuring the artist’s further experimentation with Qliphothic currents – derived from the representation of evil or impure spiritual forces in Jewish mysticism – the artist states, “On these tracks I aimed at progressing the sound I was doing on the Anagami album, and focused again on the organic, ethno sound and incorporated various ethnic percussion and melodic instruments.” The EP is divided into two seconds – Part 1: Corridors of the Abyss centering on brand new techno focused material, with Part 2: The Desert of Ghogiel featuring tracks originally written for a different full-length release. 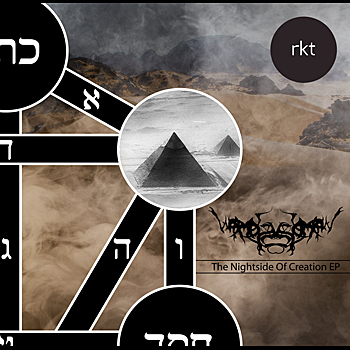 The Nightside of Creation EP was released on June 6.